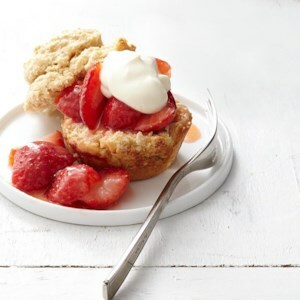 Find healthy, delicious shortcake recipes, from the food and nutrition experts at EatingWell. 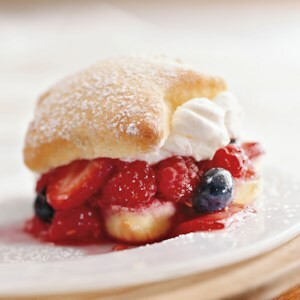 This mini shortcake recipe has just 83 calories per serving. 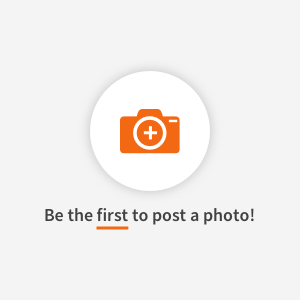 If you use the sugar substitute option, they'll have even fewer calories and carbs. 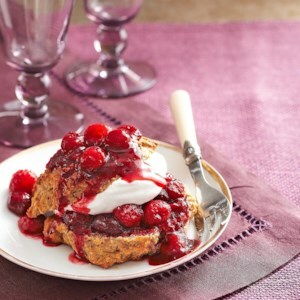 For this ginger-flavored berry dessert recipe, sweet biscuits are split in half, filled with sweetened berries and topped with sour cream-flavored whipped topping. Heavenly! 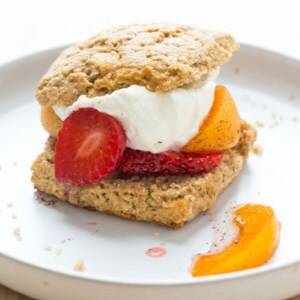 This whole-grain shortcake recipe pairs perfectly with any fruit filling for a healthy dessert. We prefer light buckwheat flour over the darker variety--its milder flavor lets the fruit shine. 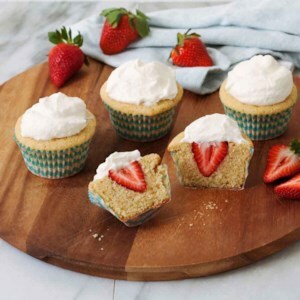 Stuff each tender cupcake with a whole fresh strawberry for a fun surprise inside these healthier cupcakes--a perfectly portioned take on a classic strawberry shortcake. Skip rolling and cutting dough and use your muffin tin in this healthy strawberry shortcake recipe. Look for lemon curd in the store near jams and jellies or skip it and combine the berries with 2 tablespoons sugar in Step 4. 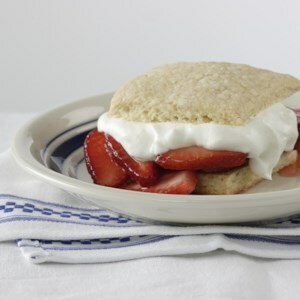 The nutty flavor of cornmeal adds depth and a sunny golden hue in this sweet shortcake recipe. 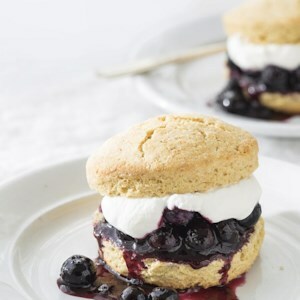 Here, the healthier biscuits hold fresh blueberries and a honey-scented whipped cream, but they're delightful with peaches and raspberries, roasted plums or cherry compote as well. 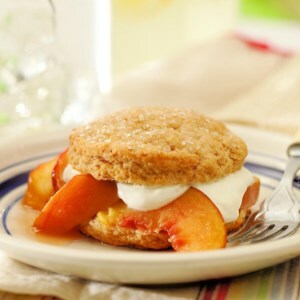 Brown sugar-sweetened shortcakes with fresh, ripe peaches and a lightly sweetened cream topping that's reminiscent of crème fraîche is the perfect ending to a summer meal. 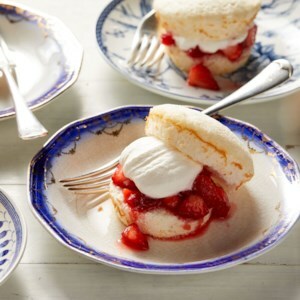 Shortcake isn't just for strawberries. 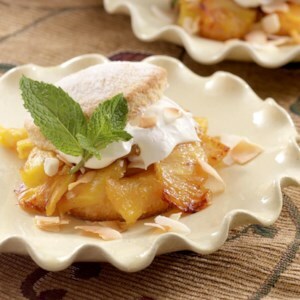 Roasted pineapple and macadamia nuts give this version a Hawaiian twist and perfume the kitchen with a tropical fragrance. Leftover shortcakes freeze well and the pineapple is also great on its own. Fresh-picked raspberries and blackberries spiked with raspberry liqueur make a fabulous filling for slimmed down shortcakes. Cream cheese and buttermilk are the secrets to these tender, scrumptious shortcakes. 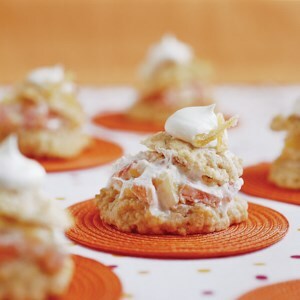 Juicy rhubarb and fragrant peaches soak deliciously into tender buttermilk biscuits. Delicate chocolate biscuits are a perfect pairing with summer berries. This drop biscuit is especially quick because it doesn't need to be patted or rolled.